Where the team behind Montreal’s iconic Joe Beef build a new restaurant, inquisitive diners will come. Now, Dave McMillan, Fred Morin, Alison Cunningham, chef Marc-Olivier Frappier, and sommelier Vanya Filipovic reveal a new endeavour: Vin Mon Lapin. The wine bar opened with little more advertisement than an Instagram post, and is already off to the races. 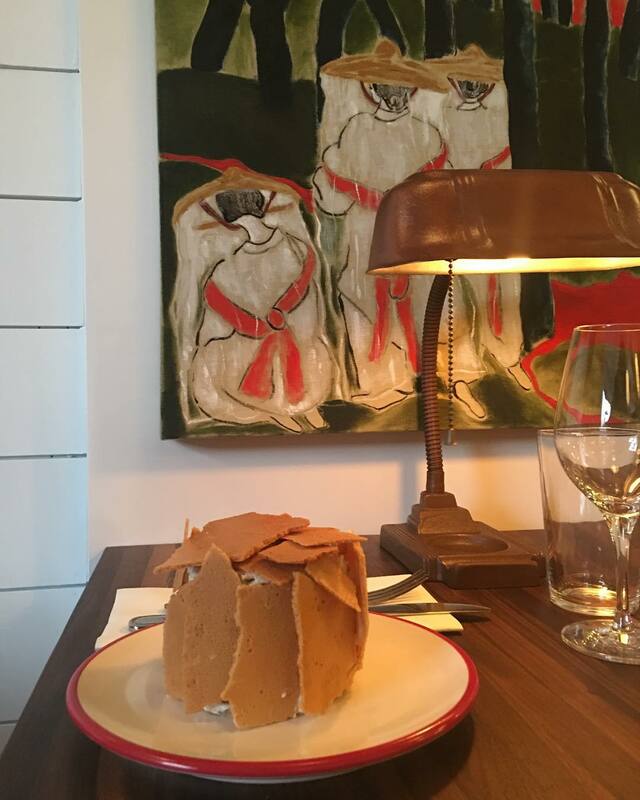 Like the five-year-old Vin Papillon before it, Vin Mon Lapin promises an unpretentious, cottage-inspired dining space, decadent-meets-earthy dishes, a comprehensive natural wine list by Filipovic, and of course, a queue at the door. 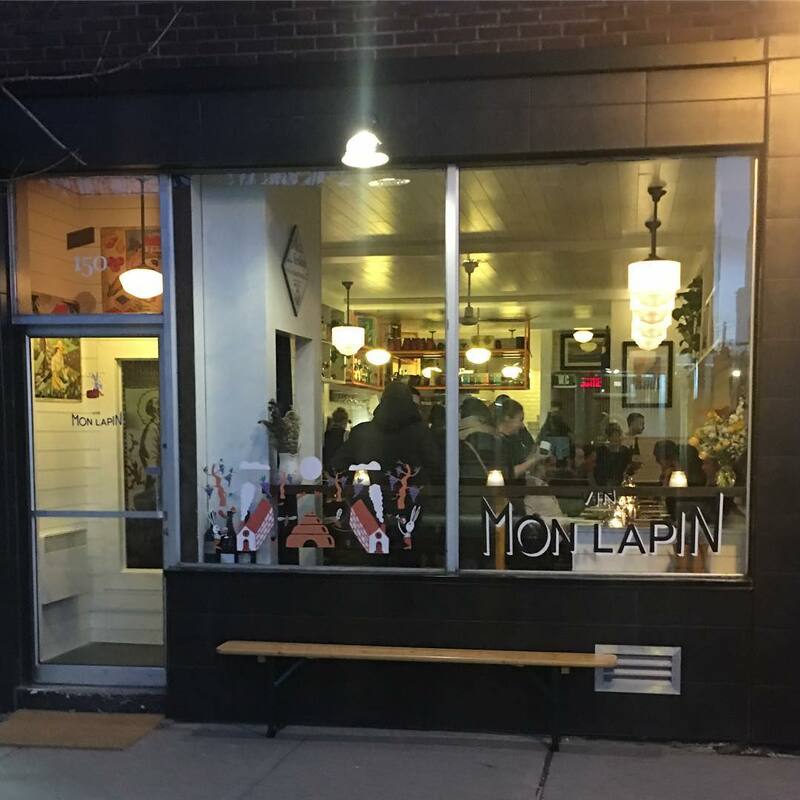 Unlike Vin Papillon and the rest of Joe Beef’s family, you won’t find Mon Lapin in Little Burgundy. Instead, for the first time, the team has moved into a space on St-Zotique and Casgrain right in the middle of Montreal’s Little Italy neighbourhood. 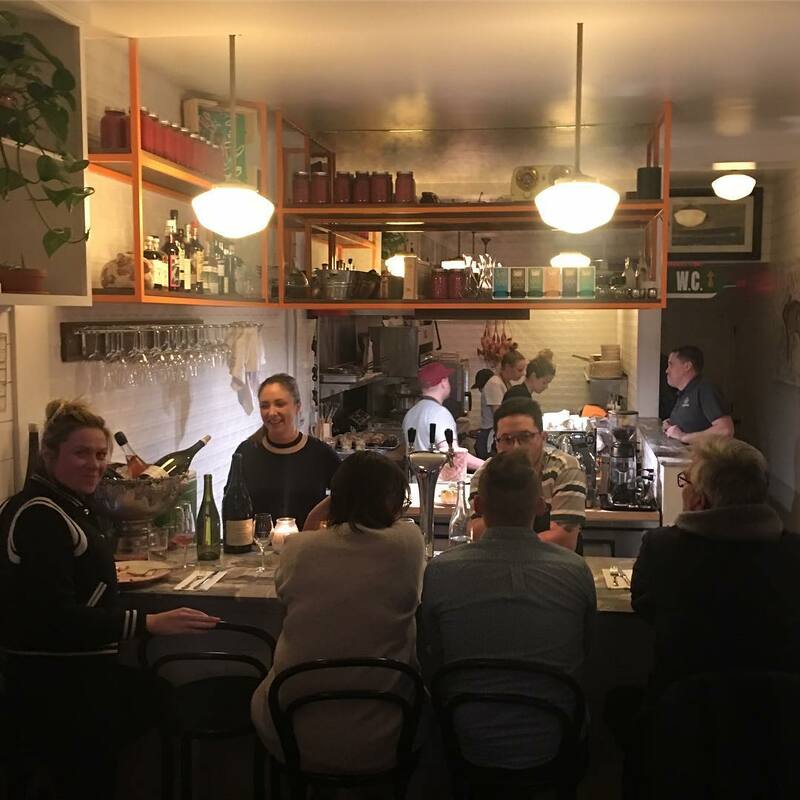 Vin Mon Lapin promises an unpretentious dining space, decadent-meets-earthy dishes, a comprehensive natural wine list, and of course, a permanent queue at the door. Once seated with wine glass in hand, it’s all about the pastoral-inspired plates by chef Frappier and chef Jessica Noël. While the menu changes on a daily basis, expect creative uses of seasonal vegetables (such as celery root grilled cheese) and comforting seafood and animal protein plates like fried oysters, tripe, and, true to name, lapin. 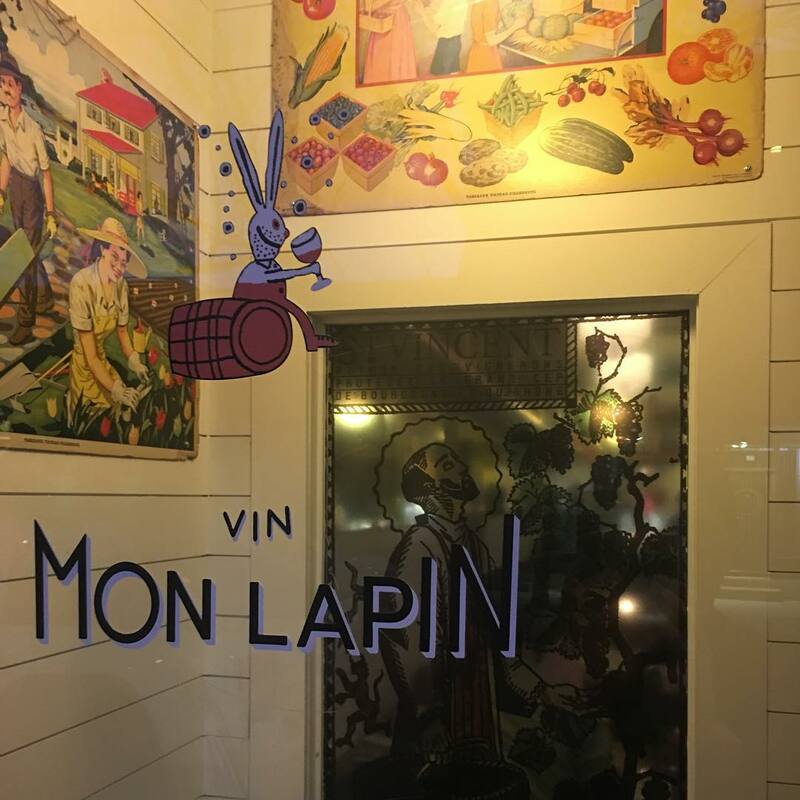 Vin Mon Lapin, 150 Rue Saint-Zotique E, Montréal, QC H2S 1K9.